A racing frame with a state-of-the-art Actiflex system to absorb rear vibrations as well as the added stopping power of disc brakes. Topped with the crisp, clean performance of a Shimano Ultegra R8020 drivetrain to encourage you to seek new adventures. 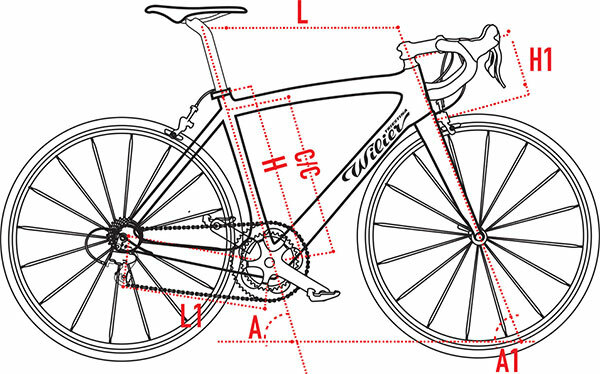 The Wilier Cento10NDR Disc Road Bike embraces the evolving road bike market. Catering for those who want a comfortable geometry with high-end performance, the pioneering Dual Brake Technology lets you choose between disc brakes and direct-mount calipers. All of this technology is used in tandem with the stiff and light Shimano Ultegra R8000 disc specific drivetrain, including Ultegra R8070 flat mount brakes with 160mm rotors, a quality DT Swiss wheelset, and trusty FSA, Ritchey, and Selle Italia finishing kit.